It has been a long time since a jump program release has been surrounded by as much anticipation as The Complete Vertical Jump Training System. Coach Rocky Ullah has enlisted the help of another big time trainer (Adam Linkenauber) in an attempt to develop a jump system that can help you jump higher fast. 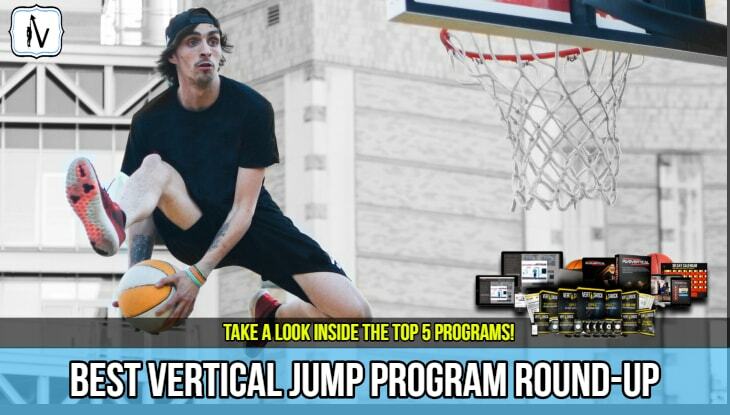 We had high hopes for this jump program as Coach Rocky and his crew have produced some amazing basketball vertical jump training programs in the past. 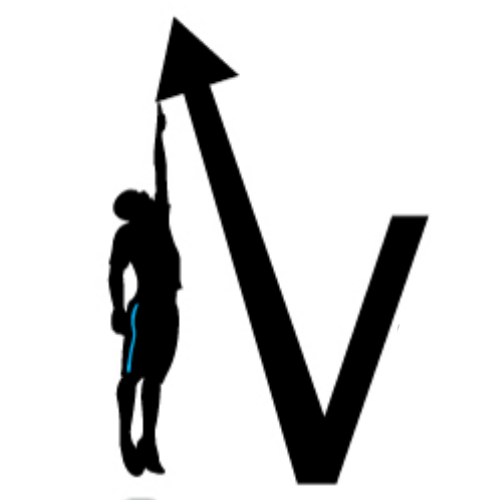 These guys are extremely innovative in their approach to jump training and have included a number of exclusive features that are not included in other leading jump programs we have reviewed such as Vert Shock and The Jump Manual. Can This Program Boost Your Vertical Jump Height? 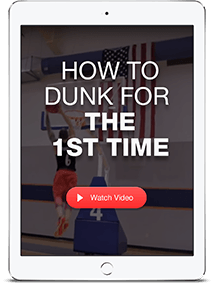 Coach Rocky Ullah has produced numerous high quality online basketball training programs designed to help you learn how to dunk a basketball. Today we will review his latest and most anticipated release yet. Our Complete Vertical Jump Training System Review will determine if this program delivers the quality we have come to expect from the "freak training" camp. Within these 3 cycles you will find an abundance of quality information designed to maximize basketball specific jump height. >> Can this new kid on the block compete with the big dogs of the vertical jump training industry. Let's take a look! Coach Rocky is the mastermind behind this revolutionary jump program. He practices what he preaches and has obtained an impressive vertical jump of his own with the same tips he shares in his program. "We hope you find our honest Complete Vertical Jump Training System review and product comparison helpful in allowing you to decide what truly is the very best jump program for you. We simply lay out the facts so you can make an educated decision"
Limited Explanation Of The Science Behind The Specific Exercise Prescription And Programming Methods Incorporated. The system is very easy to navigate and the layout is professionally designed. We love the section that simply outlines a few vertical jump training exercises to help you jump inches higher (in less than 15 minutes). This is all done by completing simple prompts like staying tall, using dorsiflexion, and having a long 3rd to last step to speed up your penultimate. The system lacks in aspect's of periodised exercise programming but makes up for it in the technique and plyometric training components. 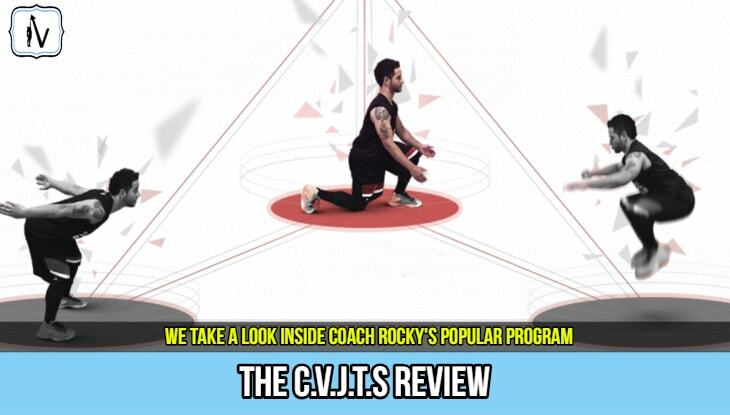 If you are looking for a jump program that can help you get results fast in a safe and effective manner then the CVJTS ticks all the boxes for you​. However if you are considering purchasing a jump program I would consider taking our program identification quiz first. This quiz will ensure you select the correct program for your needs. 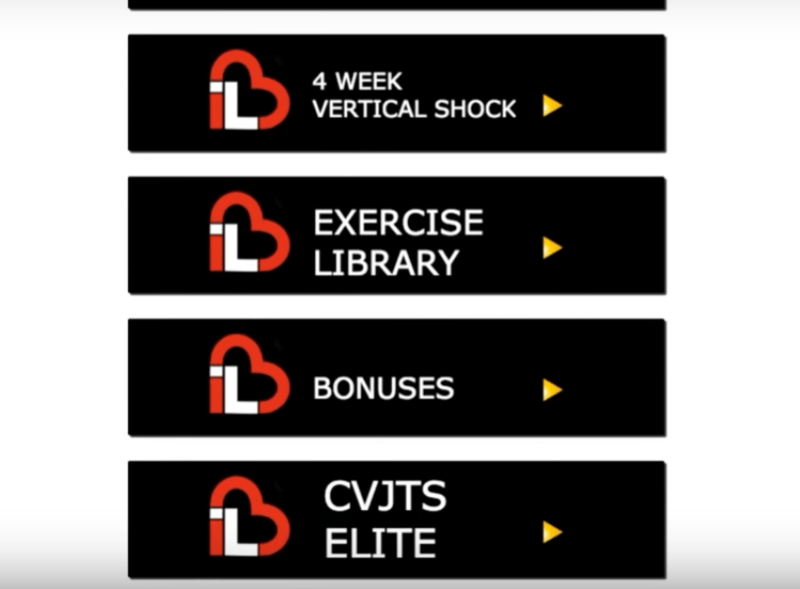 The Complete Vertical Jump Training System from I Love Basketball's Coach Rocky Ullah incorporates many innovative jump principles that are both very unique and effective. Who Created The Complete Vertical Jump Training System? 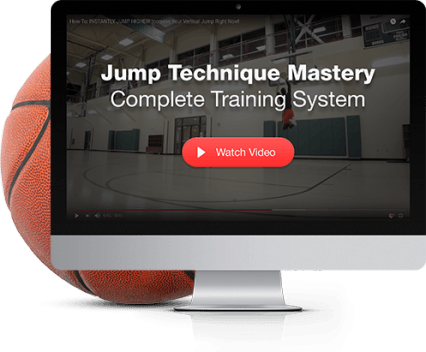 The Complete Vertical jump Training System Review: Can The CVJTS Help You Jump Higher? What Is Included In The Complete Vertical Jump Training System? 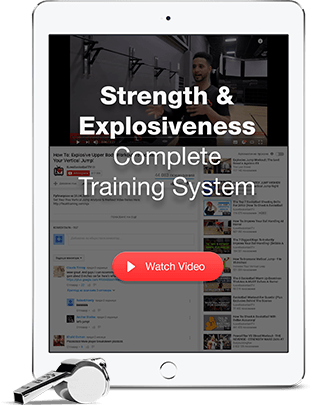 Where To Buy The Complete Vertical Jump Training System? 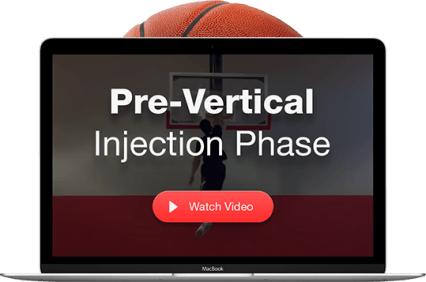 The Complete Vertical Jump Training system is a collaborative effort between two of the best in the basketball training industry. 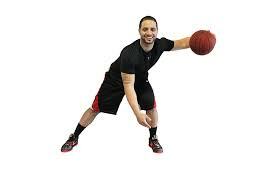 Coach Rock is the most renowned Basketball Trainer in the world today. He is a former college and professional basketball player. He has gained worldwide popularity thanks to his brilliant basketball skills training programs. He walks the walk. In fact he has incorporated the very training tips used inside The Complete Vertical Jump Training System to help himself add an impressive 17 inches to his vertical jump. 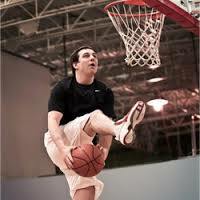 Adam is one of the most well respected verti﻿cal jump trainers in the world. He is a 9x ACC Champion and Coach and Olympic Qualifying Athlete. Mr Linkenauber is a highly sought after jump coach and has trained some of the highest jumpers in the world. 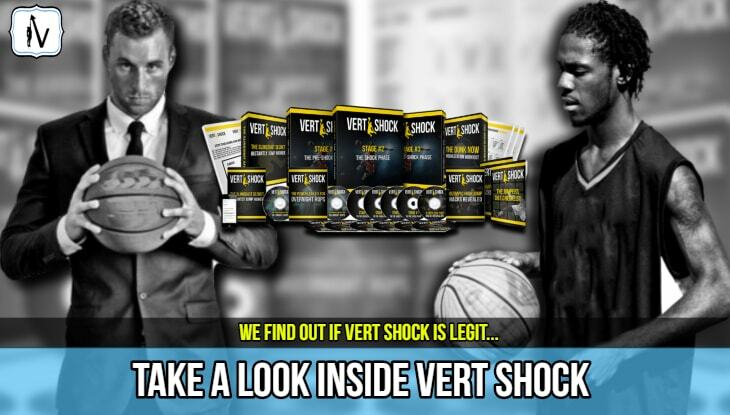 Now you too can get his "inside secrets" for a very affordable price with the Complete Vertical Jump Training System. 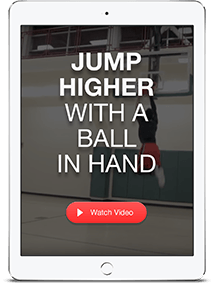 The Complete Vertical Jump Training System Offers an opportunity for you to significantly increase your vertical jump height at an affordable price. Best yet. it also comes with a full 60 day money back guarantee which makes this a very low risk proposition. Although the system has produced some amazing results we can't help but feel as though the specific programming (at the end of the program) does not adequately build on the initial weeks. Intensity seems to drop off steeply after a few weeks, when in other leading programs such as The Jump Manual it is just starting to ramp up. The lack of scientific evidence and referencing also makes us question coach Rocky's knowledge in exercises science. Nevertheless, it is developed around sound exercise prescription and programming principles that provide the necessary stimulus to jump higher in a relatively short period of time. The ability to learn jump technique skills from Adam Linkenauber provides fantastic value. The jump secrets he shares are a real game changer. Some of these movements can add inches to your jump in only a matter of minutes. Definitely worth checking out if you are serious about jumping higher. Other programs tackle this concept, but none do it as well as the CVJTS. 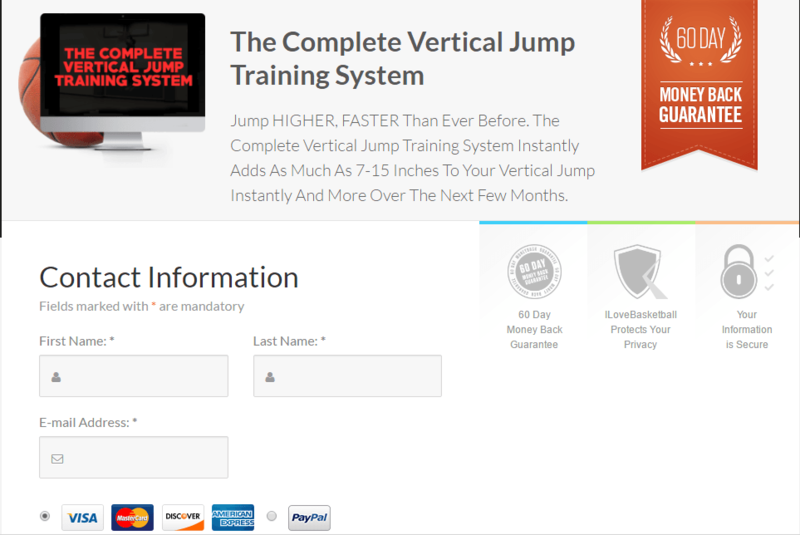 The Complete Vertical Jump Training System is built on WordPress membership portal framework. Basically, this means you are given a username and password that will allow you to access the program on any device with an internet connection. Firstly, you will be introduced to the foundational concepts which includes some exclusive information on jumping technique for both single and double leg jumps. Let's take an even closer look at exactly what you will get when you purchase Coach Rocky's Complete Vertical Jump Training System. 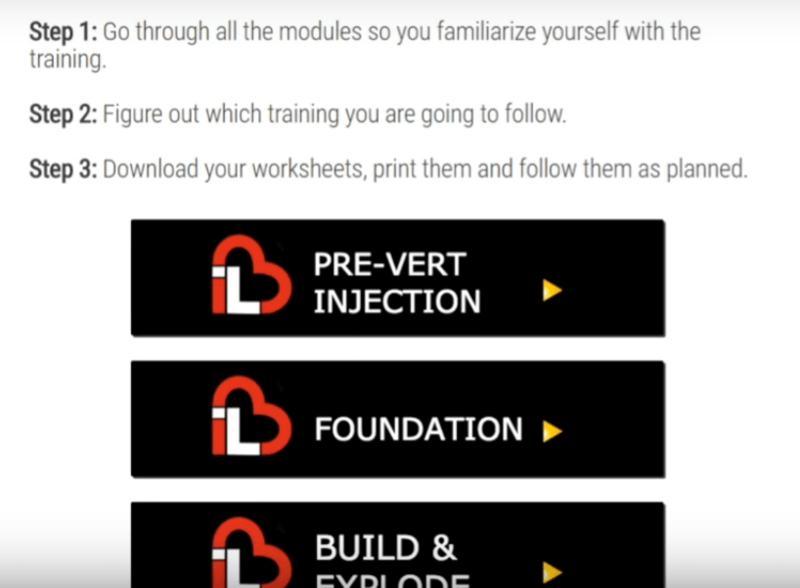 Pre-Vert Injection: An intense conditioning routine of 4 weeks duration. This phase includes a variety of conditioning exercises that are designed to help prepare the body for the demands of jump specific training. 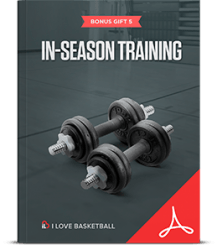 Strength & Explosiveness Training: A progressive basketball specific strength and conditioning exercise program designed to build explosive fast twitch muscles. The program is designed for both beginners and advanced athletes. Bodyweight only options are included for athletes who do not have access to gym or fancy jump training equipment or are not ready to weight train for vertical jump gains. However, for those of you who are after a body-weight only jump program I would seriously consider Vert Shock. The Complete Vertical Jump Training System is prescribed at a much lower intensity than other resistance training based jump training programs. However, this does allow the participant to recover quickly and is particularly well suited to in-season training. If you really want to get serious in the gym and throw around some heavy weights (but also deal with muscle soreness) you might like to check out The Flight System or the best selling jump program of all-time The Jump Manual. ​Vert Shock now offers an add-on strength training component that we believe supersedes that of The ​Complete Vertical Jump Training System. Best yet the entire package is currently discounted heavily. The fact that Vert Shock offers a body weight only "vertical shock training" component and an additional strength training option ​separately allows participants more control and customization over their program. ​This can be particularly valuable for athletes who would like to specifically increase their vertical jump in the pre or post season. 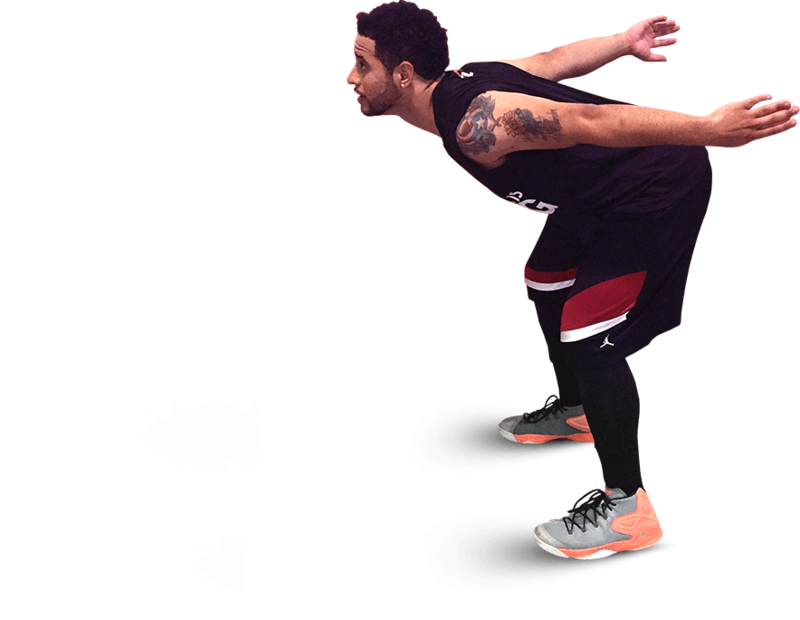 Hip Flexor Mobilization and Flexibility: This section outlines how to reduce tension in your hip flexors and other major vertical jumping muscles which subsequently allows you to develop greater hip extension in the rising phase of a vertical jump. They also include some other great stretching exercises that can help boost your vertical jump. These work a treat and can add significant inches instantly if followed correctly! 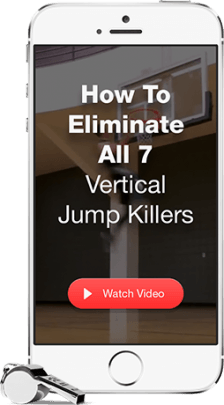 Eliminating the 7 Vertical Jump Killers: This component outlines some very simple yet often overlooked concepts that can have a huge impact on just how much height you can achieve on your jump. 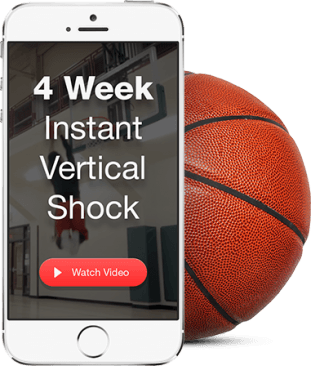 4 Week Instant Vertical Shock: This component included 1 workout using complex style training which is recommended to be used for 3 days a week for 4 weeks. While undertaking our Complete Vertical Jump Training System review we were very impressed with the quality of the Exercise Library. The video demonstrations are produced at very high quality and are easy to follow for beginners but still manage to engage the more advanced athlete. The Secret To Cure Jumpers Knee: Although Coach Rock is not a certified physiotherapist and fails to back up his claims with scientific evidence he still gives some actionable tips on how to prevent and cure jumper's knee. Jumper's knee is a common problem that can arise from jump training, particularly when performed within basketball season. 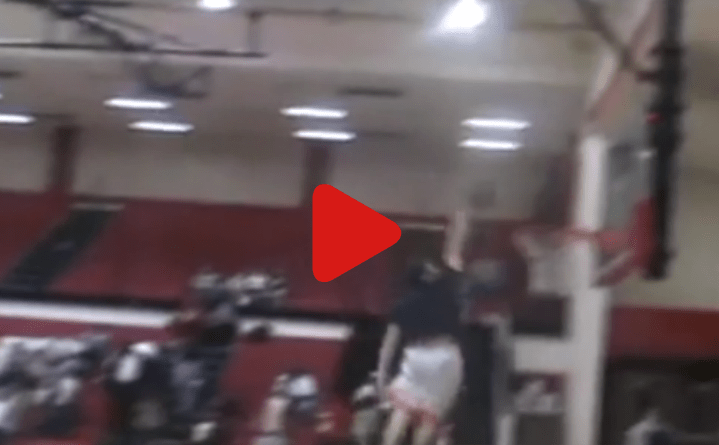 How To Dunk For The First Time: We really love this section! 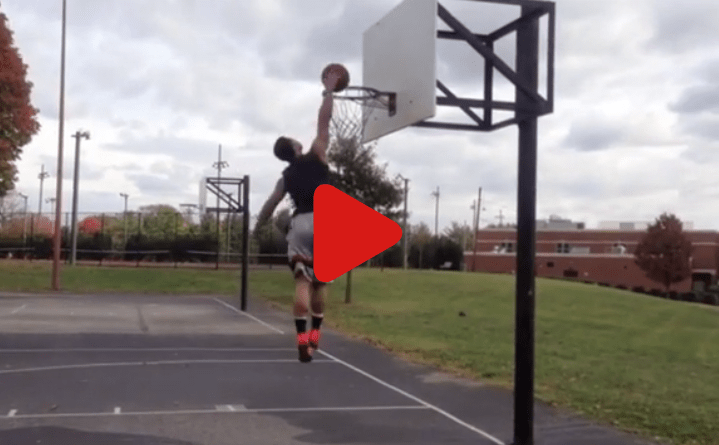 Many popular jump programs help the participant add inches to their jump yet fail to actually teach them any helpful dunk tips and the best exercises to dunk. These tips will help you learn how to control every aspect of your body as you approach the jump and attack the rim like an NBA vertical jump freak. 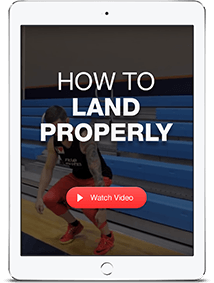 How To Land Properly: Once again the Complete Vertical jump Training System sets itself apart from other training systems by covering the small topics that matter. Learning how to land properly when jumping is an often overlooked topic that can have huge implications on the success of your jump training. If you want to jump higher while staying injury free don't skip this section! How To Jump Higher With A Ball In Hand: Coach Rocky delivers some great tips on how maximise jump height with a ball in your hand. He also gives some interesting tips on how to palm or cup the basketball in order to complete a slam dunk. In Season Training: If there is one thing that sets the Coach Rocky's jump program apart from other leading programs it is the Basketball Specific nature of the program. Other programs will develop a significantly higher vertical jump but none do as good of a job at helping you learn to apply this ability to the game of basketball. 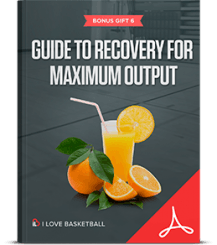 Guide To Recovery For Maximum Output: Make sure that you read and understand the content in this component when undertaking this jump training program. Don't underestimate the importance of proper dieting and rest for optimization of vertical jump gains. Very important stuff! 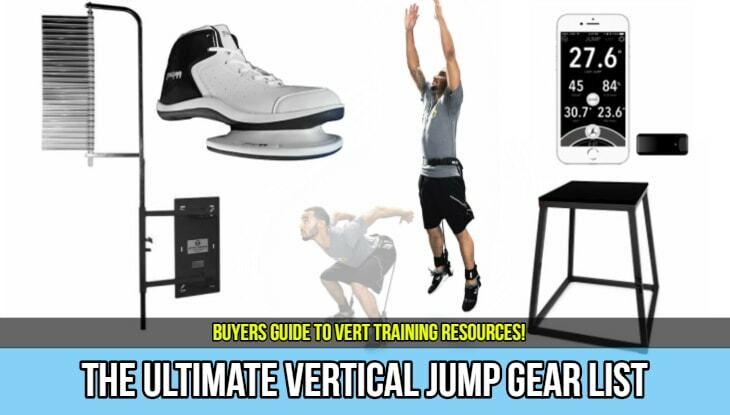 The Complete Vertical Jump Training System can be purchased through the official website here. Coach Rocky Ullah and Adam Linkenauber have produced one of the most impressive jump programs delivered in the past 5 years. This is the perfect jump program for basketball players who want to jump higher and one day dunk a basketball. The basketball specific programming of the system is what makes this a refreshingly unique approach to jump training. The resistance training component is not as effectively prescribed as The Jump Manual . However this makes the program more suited to in-season basketball training than more high intensity strength based jump programs. You will get more out of this program if you have access to weights, however the bodyweight exercises will also deliver excellent results. 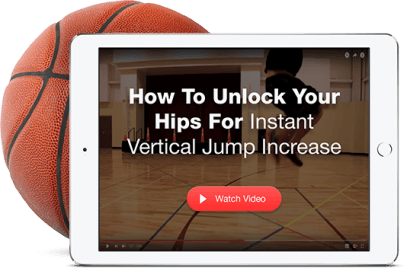 Overall, the Complete Vertical Jump Training System is a high quality jump program that is professionally designed to help basketball players jump significantly higher in a relatively short period of time.